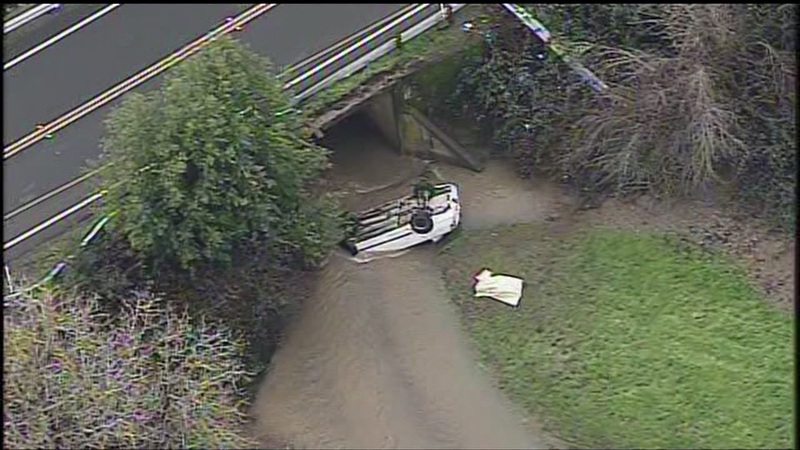 NOVATO, Calif. (KGO) -- Firefighters in Marin County are investigating after a body was found inside a car in a rising creek in Novato Monday morning. The victim, a man in his 20's was found in the submerged car at 5022 Novato Boulevard, near the Sonoma County border. The incident was reported around 8:40 a.m.
No other victims were found inside the car, and no other details were immediately available. Bay City News has contributed to this report.